Google Spread sheets are popular tool and used in businesses heavily. Imagine a usecase where you need to collect data from various people and then use that data in your applications. Most of the time 5 minute work would be to create a Google Spread sheet and design a form to share among the people to collect the data. Once you have the collected data you may need to use them in your applications. WSO2 Data Services provide you a very convenient way to expose those data as a data service. Extract Data Services Server and lets consider root folder as <DSS_HOME>. 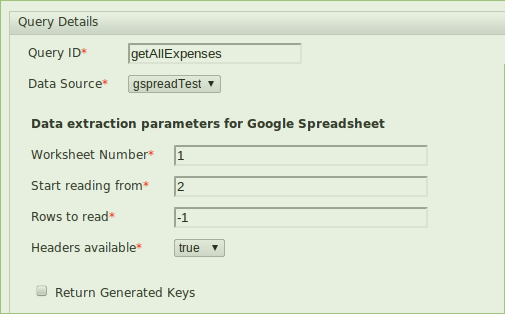 Create the data source from Google Spread sheet. After completing click on Test Connection to verify the data source you have created. If it is successful you should get the following success dialog. For the query you need to define following parameters. Rows to read -1 if it is (-1) it will read all the rows. Otherwise define the no of rows need to be read. Headers available true if yes. 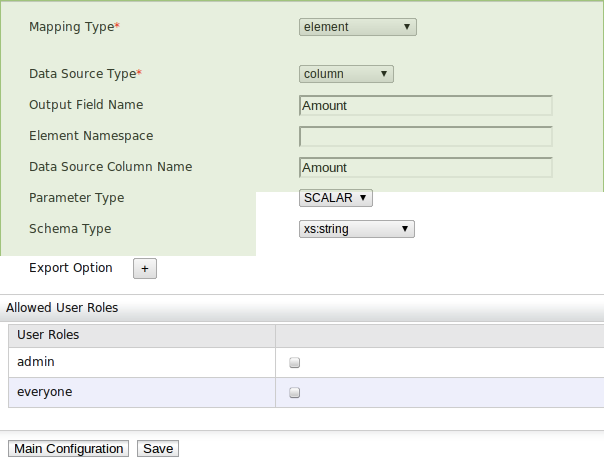 it will identify column headers for output mapping. Otherwise you need to define column number. Create output mappings to columns of Google Spread sheet. click on “Add new output mapping” and fill the for all the columns in the spreadsheet as we are going to extract all of them through this data service. After adding all of them in the “main Configuration” you can view the added output mappings. 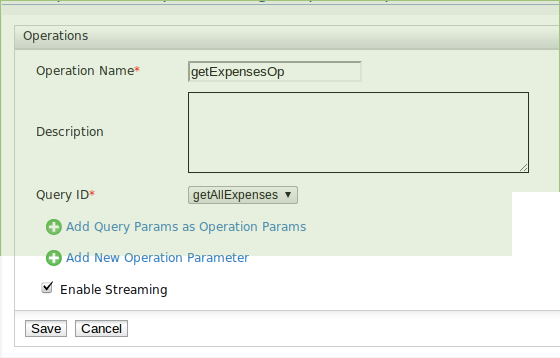 Create a operation to Call the query. 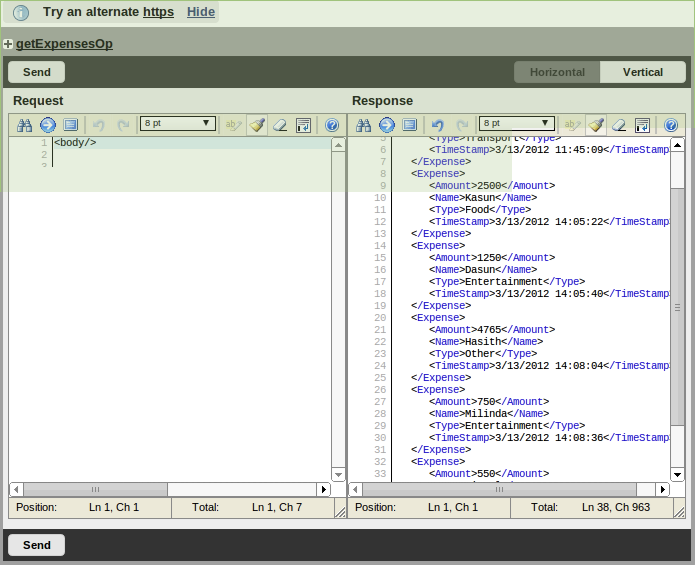 Then save and click → finish to deploy the data service. 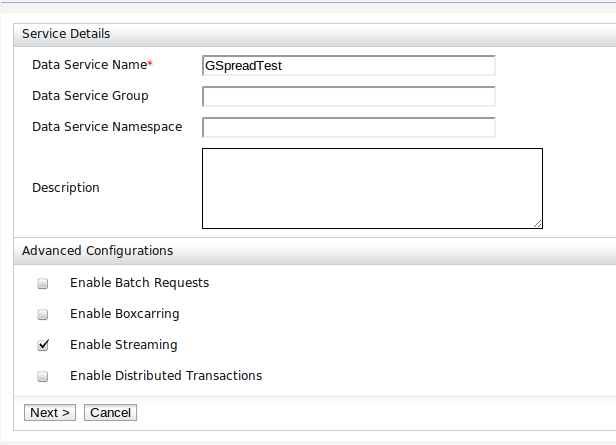 Go to Service Management ( Click → List on left panel) and refresh after few seconds to view your deployed service. Click on try it to test you service.